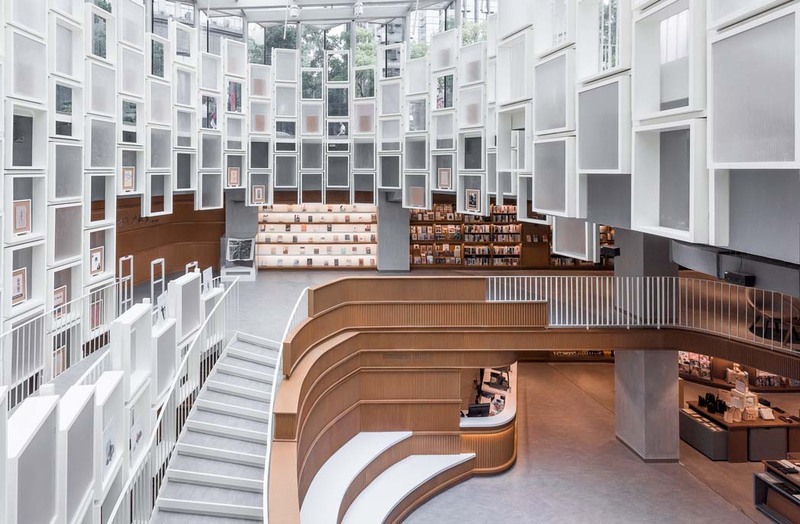 Shanghai-based interior design practice Kokaistudios has designed a bookstore in Ningbo, China, which encourages people to linger. 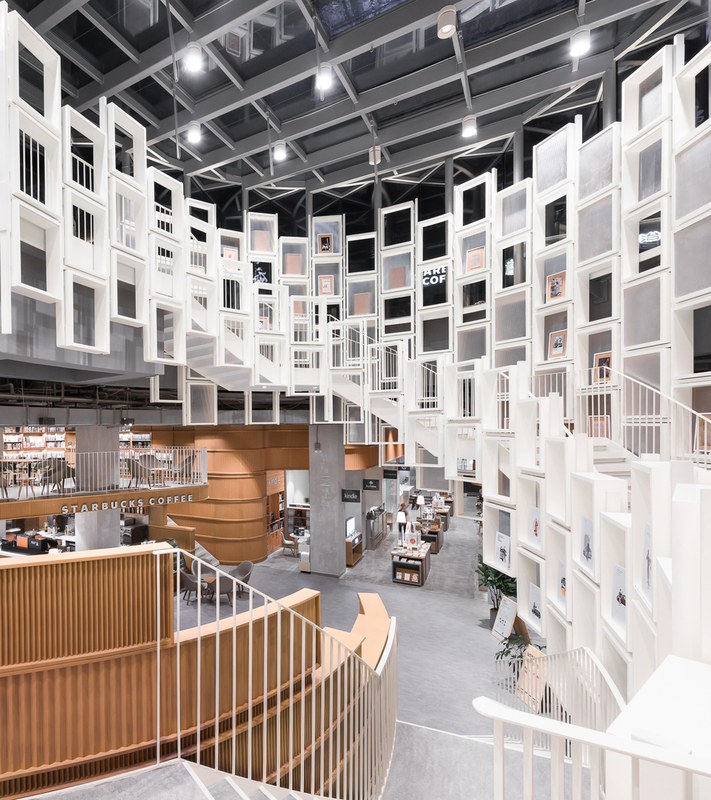 The Altlife bookstore’s design is based on organic geometries and the notion of circulation as a journey: the idea is to encourage people to move around the expansive space and keep a constant flow of people in the building. “A goal we shared with our client since the project’s inception was to design ‘a place for people to linger and spend time in’, where the core function of books’ appreciation was to be complemented and integrated by a wide variety of activities, enabling customers to sit and read, to study, to take part in workshops or live events,” explains Filippo Gabbiani, founder of Kokaistudios. 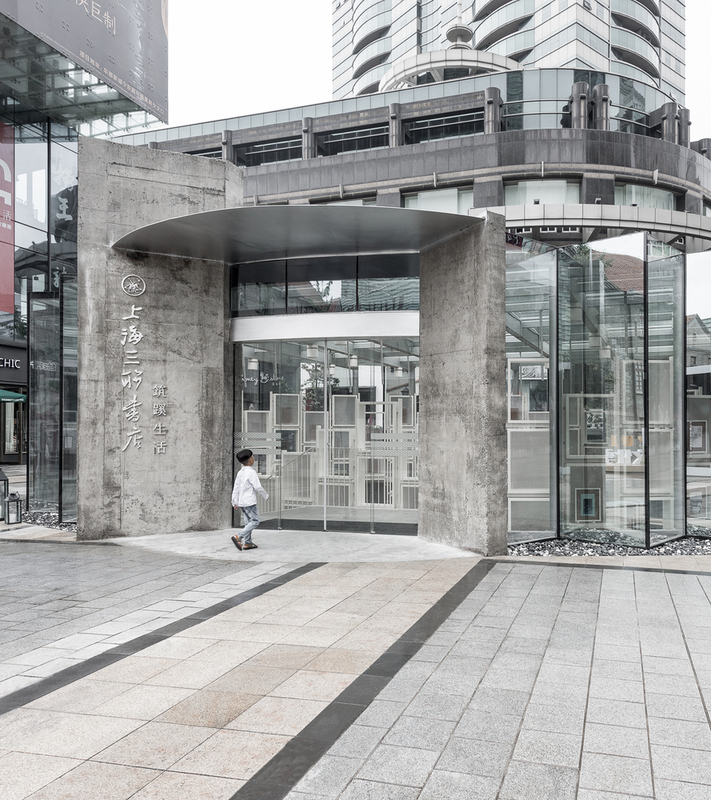 A double-height small auditorium and event space and a section dedicated to children form part of the design, together with a teahouse, a juice bar, a coffee shop, and a bakery. One complication with the design was the fact that some of these areas were to be operated independently by third-party tenants, which were mostly unconfirmed. “Thus our design had to guarantee flexibility of use and capacity to adapt to multiple programs and brand identities while still being coherent and consistent design-wise with the overall concept,” says Gabbiani. The bookstore is located in the basement of 1844 He Yi Plaza, along the South bank of Yuyaoriver, in the city centre of Ningbo. It occupies an L shaped lot entirely underground and spans two floors. The space is divided into three different main areas: the bookstore itself, an area dedicated to new technology, food and beverage and a flexible public space located at the intersections between the two. 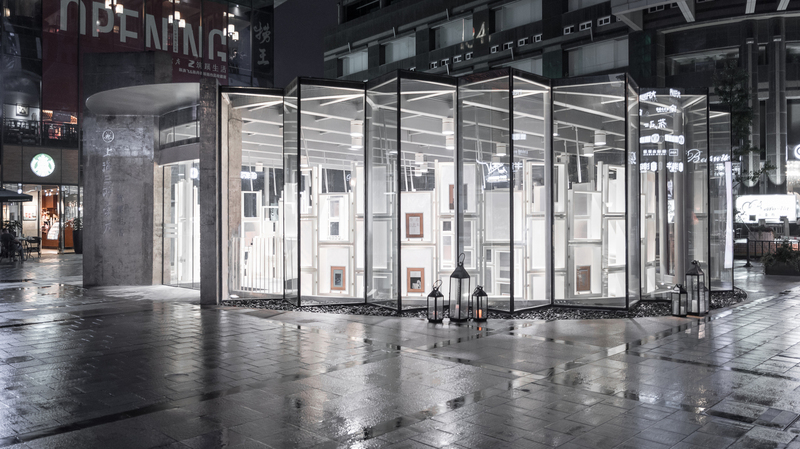 People enter Altlife via the main ground floor entrance, through a renovated glass pavilion located at the centre of the stoned paved square. A hanging staircase, designed like a spiral bookshelf, connects the entrance to the mezzanine and to the main floor below. 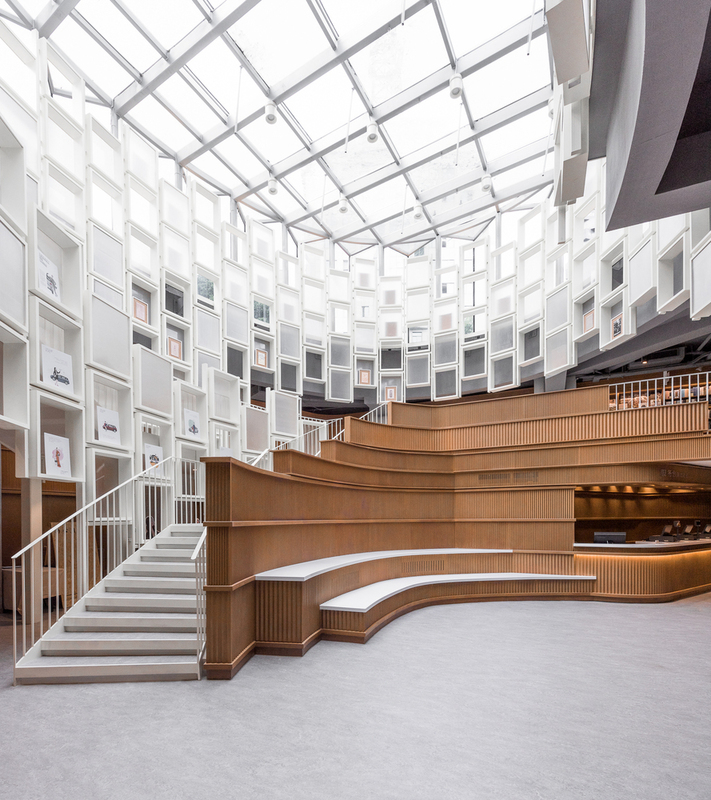 During daytime, natural light floods the bookstore interiors through this glass pavilion, filtered and softened by translucent acrylic panels integrated to the white bookshelf modules. At night, artificial light from the interiors lights up the glass pavilion providing a “shimmering showcase” for the bookstore. The staircase lands at the mezzanine level, where seating and reading areas are located. Four stairs provide additional vertical connections between the two floors. 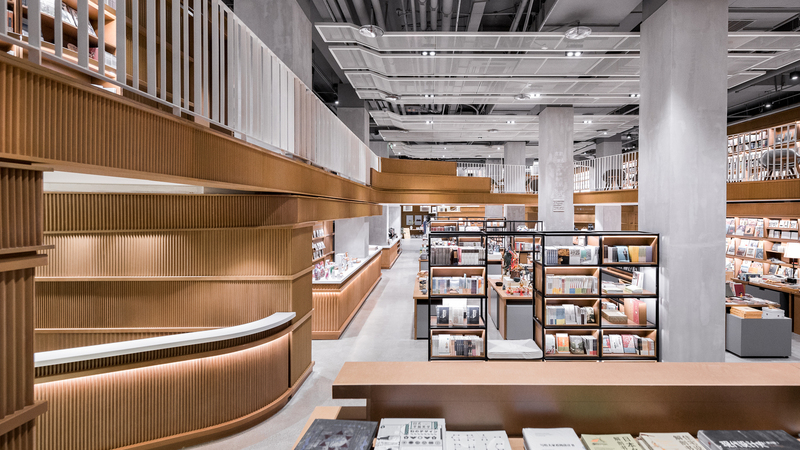 Along the perimeter, walls are entirely lined with full height bookshelves, conceived as a continuum ribbon unwinding along all spaces, dividing or relating among them areas dedicated to different functions, guiding customers in their journey through the bookstore. Areas for circulation alternate with areas encouraging stay and individual appreciation of books or collective activities. 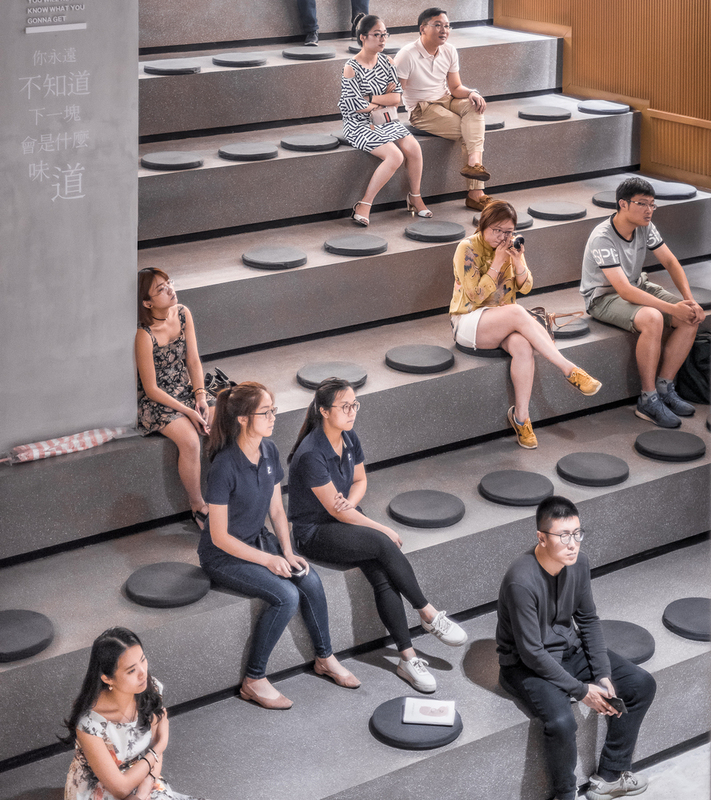 A modular system of see-through free standing shelves and counters populates the bookstore, visually dividing the space into smaller ‘rooms’ and cozy areas, providing additional opportunities for seating and reading as well as displaying a variety of merchandise. Material and textures are soft and warm in colour, inspired by different qualities of paper.